Everybody enjoys a good “Rags to Riches” story. You know the kind. Born on the wrong side of the tracks to rise up and achieve far beyond expectations, thus beating the odds. Whether we are talking of a human or an equine, it makes a compelling story. I would like to present to you here the compelling story of Lava Man, a true bona fide “Rags to Riches” horse that has become a living legend. Lava Man was bred in 2001 by Eve and Kim Kuhlmann in partnership with trainer Lonnie Arterburn. The son of Slew City Slew – Li’l Ms. Leonard by Nostalgia Star came into the world at Poplar Meadows Farm in Sangster California. Eve Kuhlmann named the dark bay Lava Man in honour of a triathlon in Hawaii. He is a good looking horse, with good size, a long stride, and a high degree of intelligence and charisma. Somewhat high strung when he was young, Lava man was gelded since he was not from, shall we say it, fashionable breeding. Very little was expected of Lava Man. Arterburn and the Kuhlmann’s were hoping for a nice horse to race and have some fun with. Arterburn as the trainer of the stable prepared Lava Man for his first race as a two year old in June of 2003. The race was a four and one-half furlong $12,000 maiden claiming race at the San Joaquin County Fair, in Stockton California, which was quite frankly on the lowest rung on the Thoroughbred ladder as to prestige. Lava Man was eleven lengths back at one point, but would come with a rush to finish three and three-quarters lengths back in fourth place. He would proceed to finish third and then fifth in his next two races. Arterburn brought the gelding to Bay Meadows and started him in a maiden special weight allowance race on grass. Lava Man finished second, and in so doing showed a marked likeness for this surface. Lava Man ran a gutsy determined race and would repeat this performance in victory in his next race to break his maiden at Golden Gate Fields, winning by a nose after a long stretch duel. This was his final race as a two year old. Beginning his three year old campaign at Golden Gate, Lava Man won a $40,000 allowance race on soft turf. He took the one mile race by five lengths. The next race came at Santa Anita on the main track in an $80,000 optional claiming race where he was second by five lengths to Cozy Guy. A return to the Bay Meadows grass two months later produced a fourth place finish, beaten by three and three-quarter lengths and then a start in the Snow Chief Stakes at Hollywood Park. Lava Man failed to fire on the main track event finishing a well beaten eighth, some ten lengths in arrears. Back to Bay Meadows and the grass course there. In a pair of allowance races, Lava Man finished second by a head and then won by a nose. Arterburn was looking for suitable races for Lava Man and found a $62,000 claiming race at Del Mar. The gelding had a rough trip and finished sixth, but was elevated to fifth through a DQ to the winner We All Love Aleyna. Dropped down to the $50,000 claiming level at Del Mar for his next race in which he finished second, Lava Man was claimed by trainer Doug O’Neill on behalf of his clients Jason Wood and the STD Racing Stable owned by Dave Kenly and his son Steve. Steve Kenly had wanted to make the claim in the previous race at Del Mar, but O’Neill had talked him out of it. When Lava Man came up in the lower claiming race, Kenly was insistent, so O’Neill filled out the claim slip and haltered the gelding. 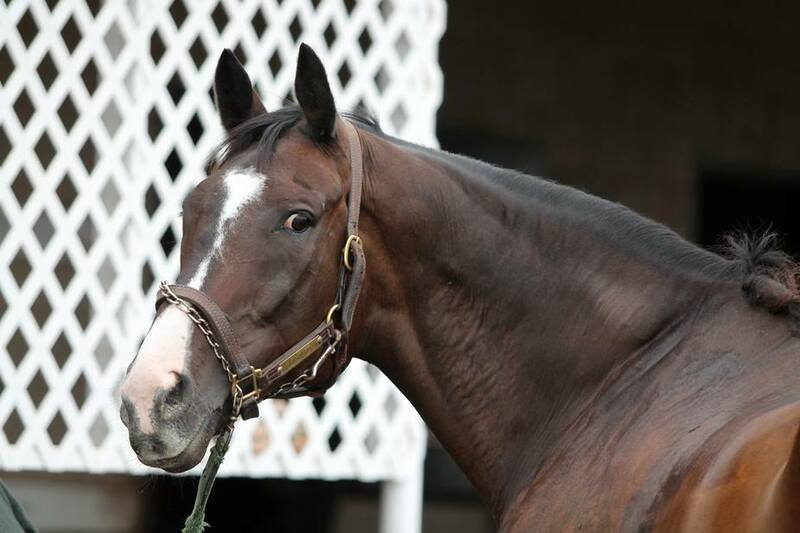 Kenly had kept his eye out for Lava Man and waited to see if he would be entered in a claiming race in the future. O’Neill was less impressed with the gelding than before when he got him in his barn. However in Lava Man’s defence, he had gotten into a lot of trouble in both of the previous races and Kenly had a keen eye to spot this. O’Neill thought the horse was in good shape and well cared for when he got him in his barn, and would soon to learn that Lava Man was a great galloper and with those long strides and his indomitable courage, he would take the stable to wonderful heights. They decided to point Lava Man to the Pomona Derby at Fairplex. Lava Man won the Fairplex Derby Trial by six and one-half lengths, his first stakes victory, but would finish third in the big event. It was apparent that Lava Man was improving however and his subsequent three races, all stakes events, would see him finish second in each race. The third race of these second places came in the grade one Malibu Stakes and he was only beaten a half length by Rock Hard Ten. This race was his final race on the 2004 calendar, however Lava Man was back at it one month later at Gulfstream Park. The first three races as a four year old did not go well. Sixth at Gulfstream, fifth at Santa Anita, and sixth at Hollywood Park, all in stakes races did not exactly shine much light on Lava Man. Doug O’Neill then put blinkers on Lava Man, he had worn the head gear as a two year old, and in so doing seemed to unlock the potential of the big gelding. The stable went looking for a race to build up Lava Man’s confidence following his three poor results. Lava Man was entered in an eight and one-half furlongs optional claiming race. He as the only horse in the race to run with the price tag, was a risky move by Wood, Steve Kenly, his father Dave, and O’Neill, as they could very well as easily lost him. Lonnie Arterburn had already lamented about losing the horse and would likely have taken him back via the claim box, but was at that time in the middle of buying property and setting up a new farm, so he did not have the funds to put in the claim. A solid win would set him up nicely for the grade two Californian Stakes at Hollywood Park. Lava Man won the race by a length, wasn’t claimed, and the stable breathed a huge sigh of relief. The gelding then followed up with his first grade one victory, which came two weeks later in the Hollywood Gold Cup. Lava Man was very impressive, winning by eight and one-half lengths over Borrego and Congrats. He earned a 120 Beyer rating for the performance, and set a record for the longest margin of victory in the great race’s history. Not bad for a former claimer who began his career in the backwater fair circuit. Borrego would turn the tables in the next race, the G1 Pacific Classic at Del Mar. Lava Man got caught up in a blazing speed duel and was still only beaten late by a half length. He then travelled to Belmont in New York for the Jockey Club Gold Cup and turned in his worst performance in his career, finishing forty-five lengths behind Borrego. A trip to Japan for the Japan Dirt Cup was not much better as Lava Man ended the year seventeen lengths behind Kane Hekili. Lava Man came out of the race bleeding through the frog of his right front foot. “He left a trail of blood all the way back to the barn” said Dave Kenly. There was a concern that the track, which was a very course grainy type of sand that Lava Man had never run on before, had caused the injury. Luckily, he was not severely hurt from this. O’Neill had Lava Man back and in good order two months later for the lucrative Sunshine Millions Classic on January 28, 2006. The race is restricted to California and Florida bred horses. Lava Man won the one million dollar race by two and one-quarter lengths. By now, Cory Nakatani had become the regular rider and the Sunshine Millions win would be the first win of a seven race winning streak that would propel Lava Man to the heights of Thoroughbred racing glory. The Santa Anita Handicap was his next target and win. Lava Man won with one of his customary driving finishes to take his second career G1 race. A return to the grass for the Kahled Stakes at Hollywood Park was the perfect tonic to get him ready for the grade one Charlie Whittingham Memorial Turf Classic at Hollywood Park. Lava Man dominated the Kahled Stakes and then easily won the grade one race by two lengths and had now added a grass G1 stakes win to his resume. Lava Man stayed at Hollywood to defend his title in the Gold Cup, and did so by a nose over Ace Blue, after stumbling badly at the break. Down to Del Mar for the Pacific Classic, Lava Man made it three grade one wins in a row in taking the event by a comfortable two and one-half lengths from Good Reward. He had now become the first horse to sweep the three biggest grade one races in California and added a grass grade one in as well. The stable were beginning to think that they had a legitimate candidate for the Breeder’s Cup Classic in ten weeks time. O’Neill decided to start Lava Man once more before the big race at Churchill Downs and chose the Goodwood Stakes at The Santa Anita Oak Tree meet. Lava Man took his seventh straight win with a two and one-half lengths win over Brother Derek. Lava Man entered the Breeder’s Cup Classic at Churchill Downs, but he did not seem to take hold of the track and failed to fire. He finished sixteen lengths behind the winner Invasor. Had he won the race he would have likely been named as the American horse of the year, but he had to settle for his second consecutive California Horse of the Year award. By now Lava Man had become a celebrity. Whenever he would race, fans would flock to see him in the paddock and cheer him enthusiastically. He began his six year old season at Santa Anita. He captured the restricted Sunshine Millions Turf and then took his second consecutive Santa Anita Handicap. These results made it nine victories for his last ten races, thus making him the unrivalled darling of southern California race fans. He was getting a lot of love from other parts of the country as well, but his one big blemish on his record was that he had never won a race outside of his native California. The Kenlys and Woods made a sporting attempt to remedy this one black spot on his otherwise wonderful record by taking him to Dubai for the Dubai Duty Free Cup. The race was a disaster as Lava Man finished last. Lava Man came back home to Hollywood Park. A little rest was needed for the new “Rock Star” on the Thoroughbred scene. Ten weeks after his Dubai debacle, Lava Man was back on the Hollywood turf course for the Charlie Whittingham Memorial. Looking to defend his title, Lava Man came up one and one-half length short for the win. After Market won the race in a blistering 1:58 4/5, to keep Lava Man away from the winners circle. Next up was the Hollywood Gold Cup and a chance to make history. Only once had a horse ever won this race three times, Native Diver. Lava Man now had a chance to duplicate this feat but with a twist. Hollywood Park’s main track this year was the new artificial surface Cushion Track. If Lava Man was to win the Gold Cup, he would be the first horse in history to win grade one races on three different surfaces types. The euphoria of this historic victory would take a back seat to the stable’s joy one month later. Noe Garcia had been Lava Man’s groom ever since he was claimed back on August 13, 2004. Garcia was struck by a drunk driver while in his own car and was seriously injured. Noe lost his left arm from the accident. Doug O’Neill told the press “Noe is lucky to be alive. He has a job with this stable for the rest of his life”. One month after the unthinkable accident, Garcia was able to come to Del Mar for Lava Man’s next race, the Pacific Classic. In a touching reunion with his friend, Lava Man greeted Noe in his stall an hour before the race. Noe embraced his buddy with his one arm, gave him a kiss on the cheek and then left to find a good spot to watch the race. No one knew Lava Man better than Noe Garcia. He spent every day with the horse for the past three years. Lava Man finished sixth in the race. In fact, Lava Man never won another race. His final two races for 2007 came at Santa Anita and he would finish both races without any challenge. “There was no energy level at all” said Corey Nakatani. “He just had no fight in him”. After extensive checkups from veterinarians deemed that there were no physical problems with Lava Man, the owners decided to give him an extended rest at Nexstar Farm in Temecula California. Lava Man made three starts in 2008, finishing third in the Kahled Stakes and the Charlie Whittingham Memorial and then sixth in the Eddie Read Handicap. X-rays taken after the Eddie Read revealed that his front ankles showed marked changes and the possibility of him becoming seriously injured. Lava Man was retired. However Lava Man had other ideas, or so it seemed. He was restless and missed the track. Attempts to bring him back slowly led to him entering the San Gabriel Handicap on December 27, 2009. He finished last and was retired for good. O’Neill had an idea for Lava Man’s well being. Since the gelding did not enjoy farm life but did want to be around the track, he would employ Lava Man as his stable pony. Everyone thought this a great idea, including Lava Man after he got the hang of it, which did not take him long. Lava Man has now carved out a new chapter in his life as a lead pony, he became a mentor to younger horses learning to become racers. “Coach” Lava Man helps to teach the youngsters manners and how to be calm around the throngs of people that are staring in their direction. Lava Man has led among others I’ll Have Another during that one’s Triple Crown bid in 2012. People in the know who recognize Lava Man in the post parade cheer him as much, if not more, than the horses getting ready to run the race. When you get right down to it, Lava Man is quite a ham. He flourishes under the adulation he receives from fans when they spot him leading out horses to the track. He is THE equine star of Youtube. One such video of him shows his intelligent ability to wander over to a feed bin, open the lid and help himself to the tasty morsels in the tub. He has mellowed and in complete ease in his new role as mentor and star attraction. Lava Man was a great race horse. He was elected into the National Racing Hall of Fame in 2015, and deservedly so. He attracted so many people to racing and gave so much of himself on the track, that his induction was simply a no brainer. He won more money than any other claimed horse in history. He is in a sense the Seabiscuit of the twenty-first century. Rags to riches indeed. Lava Man’s story is a heart warming story of a horse who was loved, who loved people right back. Photo courtesy of Doug O’Neill Racing Stable. What a great summary of the career of a spectacular horse with the heart and record of a champion. I love following him on FB. Great story !!!! Lava is deserving of his ” celebrity” status!!!! I love following him on FB!! Great story, please credit Doug O’Neill Racimg Stable for the photos. They were used without credit or permission. He is the catalyst of how we got into racing. Hope to see you soon Coach! I am not a person who can tolerate heat, but I stood out in the sun quite a while at Del Mar by the walking ring to get a good picture of Lava Man. I ended up being taken to their medical center in a wheelchair on the verge of passing out with dots before my eyes. That’s how much I loved Lava Man. What a character. He is a star. Lava Man is a rock star. I love him he is so smart and such a ham.